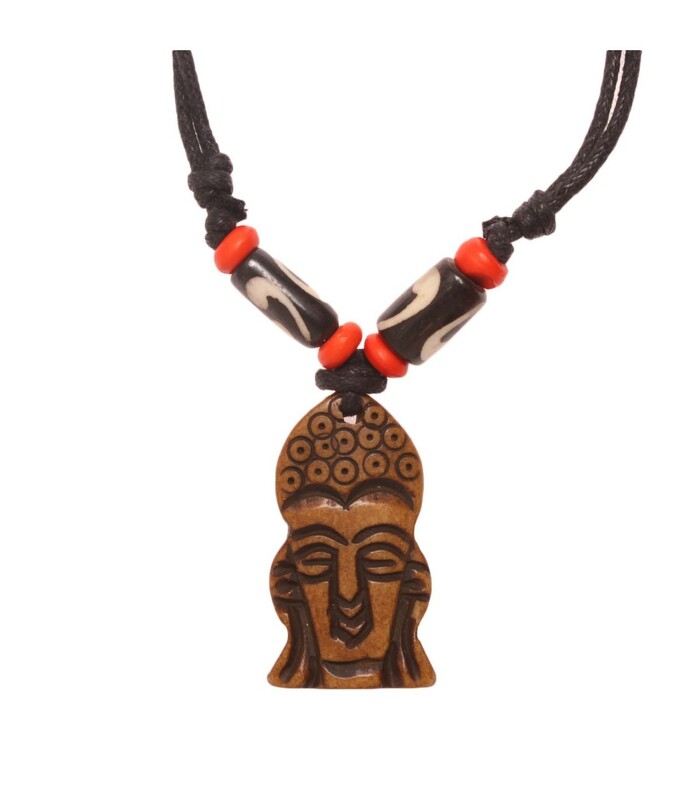 Peacefully meditating Buddha crafted on buffalo bone and dyed in beige colour. 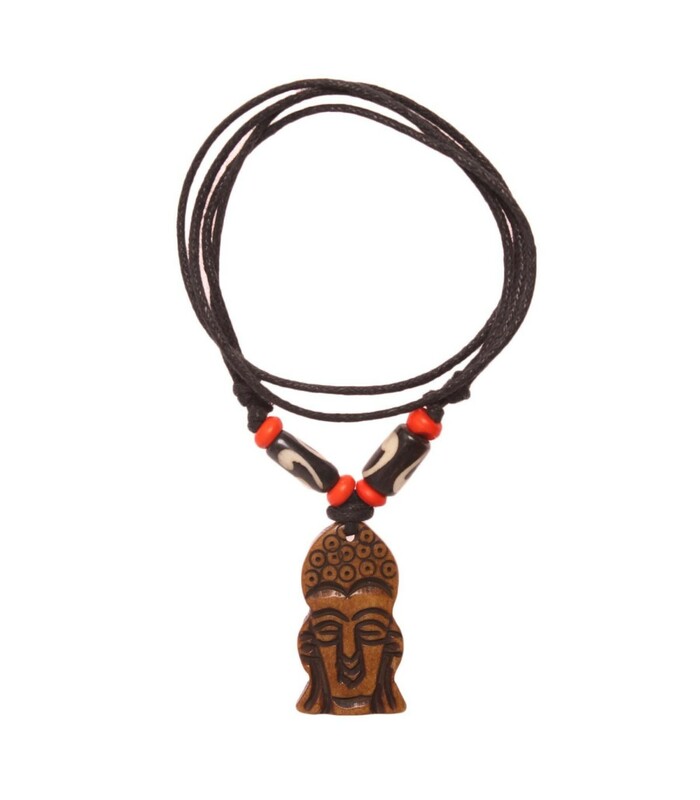 This locket will generate a positive energy and will keep the wearers mind at peace. The black cord can be adjusted as per ones preference.